Have you considered creating a business presence in Hong Kong? 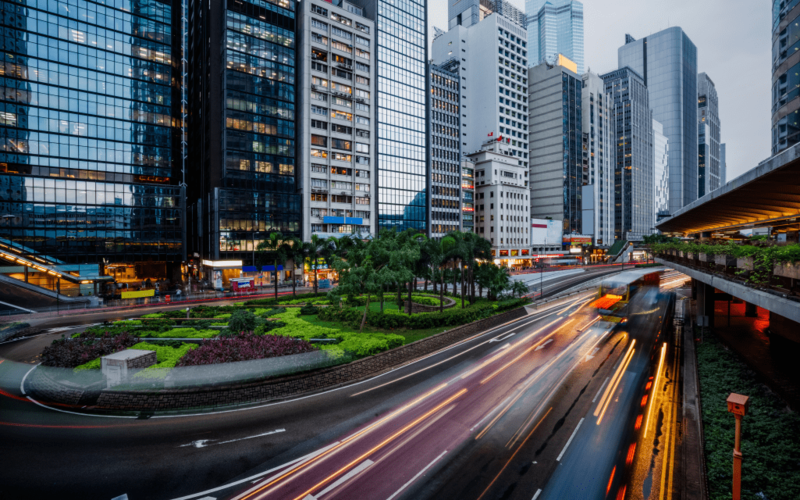 While Hong Kong is renowned as one of the largest international financial centers in the world, it can be difficult to tap into this ever-expanding market (currently experiencing unprecedented growth thanks to its loosening of foreign trade barriers). Despite the country’s free port trade status, low taxation policies, and many other benefits that set Hong Kong apart from many of the closed-off markets of Asia, the country still has some barriers-to-entry that can be off-putting for small businesses and startups. This includes choosing your approved company type, finding a unique name to do business under, applying for a Certificate of Incorporation, a Business Registration Certificate, setting up a bank account in Hong Kong, and then waiting for official approval — all before a dollar can be exchanged with customers and clients. You can learn more about this process at the Government of Hong Kong Special Administrative Region website. Sounds like a lot of work? you bet it is! However, there is an alternative to tap into Hong Kong without all of those overheads and even setting up a physical location: by using virtual locations. In this article, we’ll take a look at establishing a virtual location in Hong Kong, including some vital tools that can make the process as cost-effective and efficient as possible. What is a Virtual Location? First, a virtual location is a type of business venture where, instead of offering a way for customers to conduct business with employees and staff in-person, the majority of interactions are handled through other means of communication (i.e. website, live chat, email, phone, video-calls, etc.). As each business functions differently, each virtual location can be tailored to fit the markets that you want to reach (and accommodate your staff, which may be comprised of mostly remote employees). The more lines of communication, accessibility, and attention-to-detail that you bring to creating an online presence, the more solid and authentic your virtual location will be to the market you seek to penetrate. Similarly, by organizing the back-end, where work and assignments can be delegated, you can more effectively establish a functional virtual location. Best of all, virtual locations are substantially more cost-effective, less risky, and face fewer restrictions than establishing a physical location. Website(s): Practically every online interaction can be conducted by customers by reaching your website, or series of websites. The idea is that a website serves as a nexus for customers to find out about your company, do their research, have their questions answered, and ultimately place orders for your company’s services or products. Because Hong Kong uses both Chinese and English languages, it can be advantageous for your company to offer both options to accommodate the broadest audience. Social Media: Facebook, Whatsapp, and Youtube are among the top 3 social media networks in Hong Kong. Therefore, your business needs to stay current with its potential audience by regularly posting content on these channels. Be sure to point customers back to your website and fill out each social media profile, as customers may want to immediately get in contact with your business. Toll Free Numbers: By using Hong Kong toll free numbers, you allow Hong Kong-based customers to freely contact your business without being charged. Considering that modern toll free numbers now use the functionality of virtual phone numbers to establish an instantaneous connection with customers, you can route calls to and from Hong Kong to any location in the world. Additionally, virtual phone numbers come with a host of added functionalities and add-ons that can supplement your virtual location, such as call recording, simultaneous ringing, outbound calling, and much more. Virtual Private Network: For a variety of reasons, you’ll want to use a VPN that can give your business an IP address located in Hong Kong. This helps to avoid being blocked by Internet Service Providers in Hong Kong, as well as by establishing trust in your company for those that may be put off by the unfamiliar. Online Collaboration Tools: To organize remote employees, you need online collaboration tools like Teamwork, Trello, Slack, and the myriad of others on the market. The idea is that you want these tools to function in ways that mimic the traditional office environment, where assignments can be delegated, mission-critical points adhered to, and questions can be exchanged. Additionally, many online collaboration tools allow you to interface with customer inquiries through live chat features, creating a virtual help desk.